Meetings are held from October to May at 7.30pm. Annual membership is £15 or pay on each visit. Everyone welcome. 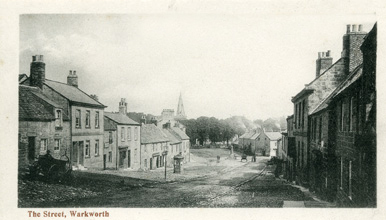 In 2000 Warkworth History Society invited local people to donate, or lend for copying, documentary material and photographs for a proposed millennium exhibition to depict life in and around the village during the twentieth century. The response which included artefacts, costumes and uniforms as well as oral history, formed the basis of a fascinating exhibition staged in St Lawrence Church during August 2000. Over the ensuing years more and more documents, letters and photographs were donated and more research carried out until, towards the end of 2007 Dr John West a noted historian and archivist agreed to catalogue the collection. The resulting Archive Catalogue runs to over two hundred pages and references one hundred documents and fourteen hundred photographs held on compact disc. It is not merely a list but a synopsis of the material held. It provides a fascinating insight into past Village life, including: burgage structure, minutes of Parish Council meetings, records of the Victorian school, Court Leet and local Militia, Tithe and Enclosure records and plans, census records, details of Pageants, Flower Shows etc. It was the intention to permanently display the materials collected, however this was found to be impractical due to lack of suitable premises within the village.. This extensive archive has therefore been deposited with the Northumberland Record Office at Woodhorn for safekeeping. A copy of the Catalogue is still however held by the History Society and is available to view. 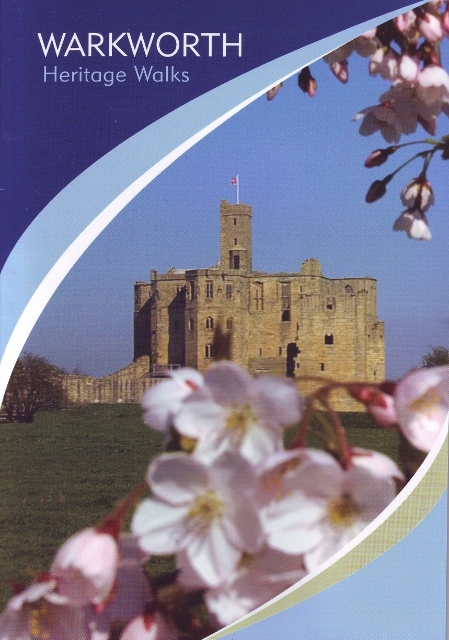 This book was researched and compiled by Warkworth History Society with the support of Amble Photographic Group, Warkworth Walkers and members of the local community. It contains 7 walks in and around the village together with historical notes and detailed description of buildings and items of interest. Copies are on sale at the Village Store. The Baron of Warkworth, John FitzRobert, was one of the principal rebel barons who secured the charter from King John in 1215. At Runnymede, beside the Thames, the baronial army met King John in June 1215 and there, 24 of their barons and the Mayor of London were chosen to ensure the king kept his word. 20 of the 22 towns and villages that made up their chief manors in 1215 came together to form the Magna Carta Barons Association and celebrate 800 years of their communities history and the connection their barons had with a document that has become the foundation of the rights and liberties of much of the English speaking world and beyond. A facsimile of the rare 1215 edition held by the British Library has been printed on parchment and after the June 2015 celebrations, it remains in Warkworth as a permanent reminder of its connection with Magna Carta for local residents, schoolchildren and visitors. It is on display at St Lawrence Church in the village. For the April meeting we were fortunate to have two speakers, Baroness Joyce Quinn and our chairman Moira Kilkenny. Their talk was a snapshot of their recently published book titled ‘Angels of the North, Notable Women of the North East’ of which they are co-authors. Joyce spoke first and explained how the book came to be written, essentially most books previously published are about men so it was time for a book about women! The book is about notable women of the North East in general and it’s publishing date coincided with three important events, 100 years of women being given the vote, the 100-year anniversary of the end of WW1 and the Exhibition of the North East. The authors decided to focus on notable women of the past rather than those still alive. They also had to decide what was meant by ‘North East women’, and for them it meant not just women born in the North East but also those who had significance to the area. The result was the profiling of 40 women, some well known and some unknown but of notable significance. The best-known North-East woman profiled was Grace Darling, well known both nationally and in the region. Her heroism, with her father, captured the attention of Victorian women, including Queen Victoria. Dr Margaret Phillips, MP for Sunderland, only lived in the area for 2 years, but during her time as an MP was very influential and was an outstanding women’s organiser. She built up the organisation for the Labour party throughout the country but was known in the area for her persistence in the Commons for highlighting poverty in Sunderland. Many suffragettes were local and/or active in the area including Emily Wilding Davison, Kathleen Brown Ruth Dodds, Connie Lawcock, to name but a few. There were also many suffragists who didn’t like protests and setting fire to properties. These included Josephine Butler, a social reformer, Emily Davis, pioneer of Higher Education and founder of the first college in Cambridge. Some of the best-known early MP’s were from the North East or held North East seats. Margaret Bondfield, the first female Cabinet Minister, Mabel Phillipson, the first woman to represent a Northumberland constituency, and Dame Irene Ward, given the title of ‘Mother of the House’ as she was in Parliament so long! The second part of the talk, given by Moira, explained that most of the women profiled lived during the 5 centuries from the reign of Elizabeth 1 to the reign of Elizabeth 2 ie. 1580 to 2016. However, the number profiled each century as not equal, only 3 came from the first 4 centuries. This was because during this period women did not become entities in their own right until 1882 with the passing of the Women’s Property Act. It was extremely difficult to find women of note prior to the 20th century because the lack of equality between men and women saw women confined to the domestic domain and viewed as inferior. It wasn’t until the late 19th century that things began to change and women were given more rights, before then women’s lives were hidden. However, there were 5 women found of note such as Dorothy Lawson, born 1580. Her biography, written by her chaplain, republished in the 1800’s, described a woman of exceptional courage who broke the law and risked her life by keeping a Catholic chaplain in her house during a time of savage panel laws relating to Catholicism. Mary Austell, born 1666, researched through her own writings. Orphaned when 20, she wrote poetry which was sent to the then Archbishop of Canterbury, who encouraged her to be a writer and introduced her to a publisher. Published anonymously, she wrote a book, 100 years ahead of its time, arguing for equality between men and women. She was the first feminist writer but was lampooned and ridiculed causing her to hide and eventually die in poverty. Muriel Robb, born 1878, a sportswoman and gifted tennis player, won the Wimbledon ladies championship in 1902. Her story was tragic, dying of cancer aged 28.
with Mills & Boon in 1934 and writing more than 100 novels under a different name! Moira concluded the talk by explaining that the main message of the book is that if those women profiled could achieve so much, given so many constraints during history, how much more can women today achieve? This month saw the welcome return of Professor John Derry to talk about Wellington the ‘Iron Duke’. Born Arthur Wesley in 1761, of Anglo-Irish descent, he was described by his mother as a ‘problem child’. His father died when he was 12 and, to economise, he was withdrawn from Eton and sent to Europe to the French Military Academy. By the time he joined the army as an ensign he had adopted the name Wellesley, by which he was known throughout his army career, rising through the ranks until, as lieutenant colonel, he was sent in 1796 to India, where he learned to be a true soldier. Wellesley’s reputation was further enhanced when he faced Napoleon’s formidable French army in Portugal and won. Professor Derry described how he was able to do this by studying French military tactics and training his men how best to resist them. His military success, both now and later, seems to have depended on his belief in strong discipline and training, a close relationship with his troops, and ensuring they were well fed. Unlike the French army, he made sure that his men paid for their food and drink, thus winning the support and respect of the Portuguese peasantry. After a second victory over Napoleon in Spain, Arthur Wellesley became Viscount Wellington, later Earl of Wellington, Marquis of Wellington and ultimately the Duke of Wellington, the name we remember him by today. When Napoleon invaded Russia in 1813 his army was depleted when the Russian army retreated, drawing the French on into the bitterness of the Russian winter, where many of them perished. Taking advantage of this, Wellington marched his army from Portugal into Northern Spain and on into France where he once more defeated Napoleon who, in 1814, abdicated and retreated to Elba. Napoleon did, however, return for a final confrontation with Wellington at the battle of Waterloo. Once again it was Wellington’s constant presence among his troops which gave them heart to fight on, whilst Napoleon stayed at headquarters and delegated responsibility. Napoleon abdicated for a second time and Wellington remained in France in charge of the army of occupation. In 1818 he returned to Britain to join the government, never having lost a battle. As a controversial Conservative Prime Minister, he stood in favour of Catholic Emancipation, whereby Roman Catholics would be admitted to Parliament and to public office, and was accused of allying himself with the Pope. This led to a duel (an interesting way to settle parliamentary disputes) which happily both parties survived! Wellington was finally laid to rest at St. Paul’s Cathedral in 1852. This was a spellbinding talk from Professor Derry, whose depth and breadth of knowledge is truly inspiring. At the February meeting, chair Moira introduced our Speaker, author and retired journalist Ian Hall to give his talk to a packed audience entitled ‘Historical Oddities and Curious Places. A Quick Ramble off the Tourist Trail’. He started his talk by explaining that there is lots of history associated with not so grand, and very much lesser known, places off the beaten track. He then went on to talk about a random selection of unrelated places in historical chronological order. Ian began his journey with small items that had been found from hunter/ gatherer time and then progressed to the Bronze age with examples of rock formations, stones and circles to be found in places such as the Cheviot Hills. Next came the Iron Age with hill forts, hilltop enclosures and evidence of tracks of wooden palisades. He then talked at some length about the Romans, and whilst Northumberland wasn’t Romanized, the presence of the Romans is all around us in the shape of Roman tombs built outside of townships, Roman roads and random stones depicting burial pits and ancient carvings in churches. The talk then headed into the 18th century when smuggling was common and evidence of whisky stills remaining in the hills and a rather unusual structure of steps carved into a cave in Berwick Hills, possibly used as a place to hide smuggled wares, although nobody is totally sure what it is! Ian then talked about examples of history crossing the ages, such as Cheviot goats that were originally domesticized in Medieval times but were left to go feral and still live in the wild today. The Peace column erected in Alnwick in 1814 to commemorate the victory of Napoleon sits on what once was an Iron Age hill fort. The Cheviot Hills has numerous examples of tragedy depicted by stone memorials over the course of many years. The Robert Stephenson bridge in Berwick brought about the demolition of part of Berwick Castle to get the railway through. And so to modern day. The first scout camp was held in Humhaugh evident from a carving made in 1908, and not Brownsea Island, as commonly thought. Another carving at the site is possibly thought to have been made by Baden Powell. There are trig columns from 1930’s in the Cheviot Hills, a tree plantation in the shape of a cross in the middle of a field in Ashington used as an aircraft guide in the Great War, underground chambers for radar equipment in the moors now mostly flooded and used as practice areas for police divers, and plans approved in 1962/3 to demolish the centre of Alnwick to make way for a new town centre, thankfully prevented! Chair Moira introduced our first speaker of 2019, Dr John Hobrough, to give his talk ‘Bees in History’, a slight change to the advertised ‘History of Beekeeping’. Most people think of bees just as an insect that produces honey and has a nasty sting to it, with little thought as to its evolution and importance to humanity. Bees have been around for a very long time with evidence of human interaction since 9000BC and our domestication of it by catching swarms since 2500BC. Our history with bees is about how we humans get involved with them. A colony of bees is made up of a single fertile female (Queen) who lays around 2000 eggs/day, fertile males (Drones) who only fertilise the Queen in summer, and 20000-70000 sterile females (Workers), and it’s the Workers who control what happens. Swarms are formed from the colony and bees will swarm just about anywhere, and it’s from the capture of swarms that humans put them to work. The bee is unique in that it is the only insect that produces food that we eat and products that we use including sweeteners, medicines, polish, candles and cosmetics. Bees pollinate ¾ of world crops and 65% of the food we eat relies on pollinators. Bee numbers are in decline and the loss of the bee is more problematic to humans than many other world problems. Agricultural and environmental change is now affecting bees and putting increased pressure on them. The result is that the average hive yield has dropped from just over 100lbs of honey to 20-40lbs honey in the last 60 years. To try and support and protect bees, the British Beekeepers Association (BBKA) was founded in 1874 bringing about changes including annual certification and annual inspection against disease by DEFRA. John spoke of his own experiences of beekeeping over the last 60 + years which included some amusing stories about unusual swarms, including one that got into a sweet factory and subsequently produced green peppermint flavoured and red strawberry flavoured honey! John also spoke at some length of his concern for the future of bees over the next 60 years and beyond and how we can help to protect them. A positive move by farmers has been the planting of Phacelia which has had the positive effect of encouraging bees to produce more honey. As individuals we can help by planting bee-friendly plants in the garden, be careful with the use of pesticides, by not putting unclean honey jars outside, especially those from abroad, as they may be carrying bacterial spores, and by supporting local beekeepers. We can also help fund essential research by adopting a beehive, for further information on this go to adoptabeehive.co.uk. The talk was extremely well received and gave a fascinating and informative insight into history and the future of bees. 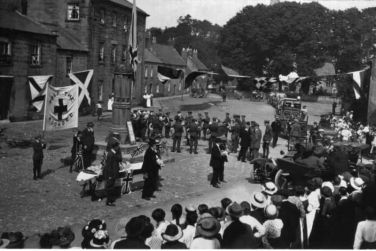 At December’s meeting social historian Neil Storey spoke about Northumberland in the Great War. The Northumberland Fusiliers was the first battalion of Kitchener’s Army, being founded upon a tradition of youth involvement in a variety of movements including league football, Boys’ Brigade, Scouting, and the Life Brigade. Young men were keen to become involved in activities which would provide some escape from a harsh life down the mines. In the pre-war years men enthusiastically joined the Territorial and even the regular army, seeing these as an opportunity for travel and adventure, with no thought of war. But with the outbreak of war in 1914, Kitchener wanted regulars, not territorials. Men came in droves, naively seeking glory, whilst women were enlisted to take over the jobs they left behind. This introduced a feeling of independence which would ultimately lead to great social change. Neil Storey’s excellent account was illustrated by an impressive collection of photographs of the local area during the war years and was followed by a short discussion in which members shared stories of their own families’ involvement in the Great War. Chair Moira welcomed our speaker Dr Liz O’Donnell to give her talk “Hens that Want to Crow” Suffragists and Suffragettes of the North East of England 1866 -1918. Many people think of the fight for women’s suffrage only in terms of the early 20th century suffragettes with their militant tactics, but much wider campaigns were in fact taking place from at least the 1860s, many interconnected with the exploitation of disadvantaged people. A number of key roles in the early campaigns were undertaken by women with North East roots including Emily Davis, Josephine Butler, Elizabeth Spence Watson, Norah Balls, Florence Nightingale Harrison Bell, and most famously Emily Wilding Davison. Emily Davis together with Elizabeth and Millicent Garrett began in 1866 what became known as First Wave Feminism, with the establishment of the Langham Place Circle, their primary aim being the opening up of education and the professions to women and obtaining equal rights with regard to law, divorce, national politics and morality. On the 7th June 1866 the first mass women’s suffrage petition, signed by 1500 women, was taken to Parliament by Emily Davis and Elizabeth Garrett and presented by MP John Stuart Mills. Its failure marked the start of organised campaigning by women for the vote. The Second Reform Bill petition in 1867 and an amendment to the Third Reform Act in 1884 both failed. Roles in public life were slowly being opened up to women who qualified; but support continued to grow for full suffrage. In 1912 a women’s march took place from Edinburgh arriving in London 16th November. Pictures were shown of the march as it passed through Berwick, Alnwick and Newcastle. Women joined and left the march along the journey, seven however marched the whole way. Matters started to escalate in 1913 which strained relations between the suffragists, who believed in using legal means to achieve their goal and the suffragettes who were prepared to use extremist measures. Newspaper cuttings of the day showed reports of suffragette activities in the North East including, windows being broken, telegraph wires cut, bombs planted, and arson attacks on buildings. Emily Wilding Davison was mortally wounded when she ran in front of the king’s horse, Anmer, during the 1913 Derby. Her death and the crowds as her coffin passed through London and on arrival at Morpeth, marked a culmination and turning point in the militant suffragette campaign. The First World War broke out the following year and a suffragette amnesty declared. Campaign leaders urged women to join the war effort. The 1918 Representation of the People Act gave women aged 30 and over and met the property qualification the right to vote. Women over 21 had to wait until 1928. Dr O’Donnell’s talk showed the fight for suffrage was slow and complex, with hopes raised and dashed several times along the way before electoral equality was achieved. The right to vote was only one step in women's struggle for greater equality in all areas of life which is still ongloing today. Dr O'Donnell was thanked for her interesting, informative and thought provoking talk. The new session opened with a talk by Jane Gulliford Lowes about her book, ‘The Horsekeeper’s Daughter’. It seems that Jane, a Sunderland lawyer, is connected to Warkworth through her great, great, great, great grandmother, who was baptised and married in the Church of St. Lawrence. But the subject of her book came through a different connection. Jane had inherited a box of memorabilia dating from the 1800s, passed down from her great grandmother, who in turn had inherited it from a friend, known to the family as ‘Auntie Edie’. Jane was particularly drawn to photographs and letters relating to one Sarah Marshall, the eponymous horse keeper’s daughter. Born in County Durham in 1863, her father was the keeper of pit ponies for many of the mines in the area. Jane’s meticulous research reveals a wealth of information relating to the social history of this time: the poverty and appalling working conditions leading to many terrible mining disasters, strikes and social upheaval. When Sarah’s father died the family was evicted from their miner’s cottage and Sarah sought what she imagined would be a better life in Australia, under the Queensland single female migrant scheme. This turned out to be no more than a means of recruiting servants to a life of drudgery with wealthy families in Brisbane. Jane, by this time fully engrossed in Sarah’s life story, went out to Australia herself to continue her research. There she discovered that Sarah had eventually managed to escape this unfortunate situation through marriage, in 1887, to William Campbell, an Irish farmer. She was then able to trace the movements of the Campbell family until, after many difficult years, they came to own a plot of land on Tambourine Mountain, where Sarah died in 1911, aged 47. It was Sarah’s son, Bill, who had sent the letters and photographs to Auntie Edie, which had been so carefully preserved and passed down through the family. Fascinating as Sarah’s story undoubtedly was in revealing so much about the life of a working class woman born into poverty in County Durham in the 1800s, and her journey to a life of almost comparable hardship in Queensland, Australia, it was Jane Gulliford Lowes’ dogged determination to unravel her story which ultimately inspired her listeners, no doubt sending many of us home to search our attics for forgotten letters and photographs of our own. Following the AGM Chair Moira welcomed Ian East to give a talk on The Northumberland Elections 1826. Prior to this date Northumberland had traditionally returned one Tory and one Whig to the two parliamentary seats. The 1826 election was a four way bitter affair involving principal Northumberland families, with no love lost between any of them (a duel being fought on Bamburgh beach at one stage). Candidates spent huge amounts of money on promoting themselves and denigrating opponents, using posters, handbills cartoons etc. and giving mugs and jugs to supporters so that they could drink free ale when they arrived at the hustings. All voting took place at Alnwick over 15 days with the count announced daily. Candidates even provided steam ships and horse drawn carriages to transport their supporters to vote. The Tories Matthew Bell and Henry Liddell took both seats with an estimated cost to each of £30,000. Ian was thanked for his detailed and interesting talk. Michael Thomson has become a regular and very popular speaker at the Warkworth History Society. This was his first visit to our new venue, however, and he began his talk on Bede by commenting on the appropriateness of the historic church of St Lawrence to his subject. Northumberland, or Northumbria, was very much at the heart of this month’s talk. Bede was a Northumbrian monk living his whole life in the area between 672 and 735 AD, a period usually referred to as the Dark Ages, with associated images of wild, uncivilised heathen tribes. Not so in Northumbria, however! It was going through its very own Golden Age, both culturally and religiously, and it was in this context that Bede was born, educated and eventually able to make his own considerable mark. One of his many ambitions was to make the Bible accessible to the common people, and he began a translation of St. John’s Gospel from the Latin into Old English which he is reputed to have completed on his deathbed. He also made such a detailed study of the sun, stars, planets, moon and tides that he was able to work out how these all fitted together, how our tides work, and even came to the astounding conclusion that the earth was round and not a flat disc as was universally believed at that time. It seems that Bede’s dedication to learning also landed him in hot water, however. Through his minute and scrupulous study of the Bible, he re-calculated the time of the Creation, and therefore the age of the earth. This did not go down well with the authorities of the time and he was accused of heresy! His greatest achievement is considered to be his ‘Ecclesiastical History of the English People’ which he completed in 731and dedicated to Ceolwulf, King of Northumbria. For this he travelled widely within the British Isles and used his knowledge to explain where and how the different English tribes originated. His intention was to influence the way in which people viewed England, and his strongest desire was to draw together all the feuding Anglo-Saxon tribes under one kingdom with one king – that being, of course, the King of Northumbria! Sadly, shortly after Bede’s death, the Vikings arrived and brought an end to Northumbria’s Golden Age. They continued to wreak havoc until they were finally beaten by Alfred the Great, who successfully took up Bede’s ideas and put them into practice by bringing together the various tribes of England under one law, Danelaw, and one kingdom. We were left wondering how different our political map might look today had the North East succeeded in becoming the beating heart of our nation! Another thought provoking talk for which Michael Thomson was roundly applauded. The snow fortunately cleared sufficiently to enable 55 hearty souls to attend the meeting to hear Chair Moira welcome one of the Societies favourite speakers Professor John Derry, who without the use of visual aids and notes took us through the life of Joseph Stalin. Joseph Vissarionovich Dzhugashvilli was born 18 December 1879 in Gori, Georgia (he changed his name to Stalin, meaning man of steel, in 1913). He grew up in poverty, his mother a washerwoman and father a cobbler. Throughout his life Stalin retained his Georgian accent and pronounced some Russian words badly: which anyone in his presence took care to also mispronounce in order to avoid the anger of the great leader! Aged 16 Stalin was sent to study at the Russian Orthodox Church in Tiflis, the Georgian capital. However he lost interest in his studies when he joined the revolutionary movement and in 1899 was expelled after failing to turn up for his exams. His time was then spent raising money for the Bolshevik movement by any means, including bank robberies, murder, and abduction. He was described as a revolutionary without scruples. Professor Derry took us through Stalin meeting Lenin, their involvement in the Russian Revolution, the toppling of the Tsar, then Lenin taking power and appointing Stalin as General Secretary of the Communist Party. After Lenin’s death in 1924 Stalin became leader having first arranged to have Trotsky exiled. Stalin instigated various 5 year plans to modernise the country in order to compete economically and militarily with the Western powers. Individual farms were grouped together under State control in an attempt to improve output. This was initially resisted by the peasant farmers, resulting many being killed or deported. Over the years Stalin became increasingly more paranoid and purged the Communist party and the army of anyone who might oppose him. Millions were sent to labour camps, with hundreds of thousands summarily killed. The lack of experienced army generals was to cause great difficulties during WW2. Professor Derry described the non-aggression pact with Germany and how this was ignored by Hitler, the Battle of Stalingrad, the subsequent part Stalin played in defeating Germany, followed by the aftermath which Churchill described as “an iron curtain falling over Europe”. Stalin’s death 5 March 1953 was mourned by some in the Soviet Union but was cheered by the millions affected by his reign of terror. Professor Derry’s talk was informative, expertly presented and thoroughly well received. We look forward to his talk on the Iron Duke next March. Our speaker this month was George Nairn who gave a talk on the history of picture postcards. George’s interest in postcards began over 40 years ago. He is now a full time dealer and collector and has written/contributed to over 30 local history books. The first picture postcard was sent in September 1894 and until 1902 it was illegal to include anything but the recipients address on the back. A card with writing around the picture on the front usually dates it to this period. In 1902 the back of the card was divided to provide space for a message and the address. Cards were made from many materials including tin, leather and even peat! Many messages were written in code or shorthand to keep them private, the angle of the stamp could also convey a message i.e. upside down meant “I love you” Postcards were 1 penny to buy and ½ penny to send up to 1918 when the cost of postage was increased. Some of the best quality early cards were printed in Germany, as at the time they were leaders in the lithographic printing process. The golden area of postcards was from 1900 - 1920. Each town or village had a photographer and images would be taken using a plate camera to record all aspects of life in the area. George showed many slides of early postcards depicting not only scenic views but of church/chapel/school/WI events and outings, collieries/pitmen and poignant ones from WW1. If a disaster occurred the local photographer would be soon on the scene to record the event and postcards produced for sale the next day. One commemorating the West Stanley pit disaster included Keven Keegan’s grandfather. Before the days of the telephone, postcards were often used as a means of communication. There were up to 3 post deliveries a day and a card could be sent in the morning asking someone to meet that same evening. Many cards were posted on Christmas Eve for delivery the next day! One of George’s favourite card producers was Mr Johnson of Gateshead who produced around 16,000 cards between 1900 and the 1940s. The Abraham Brothers were famous for their photographs of the Lake District, and their former shop in Keswick is now the premises of George Fisher. Georges entertaining and illuminating talk clearly illustrated how picture postcards and the story behind their messages provides a social history record of the time, unlike the text/Instagram/e mail methods of communication used today which are usually deleted or forgotten. At the first meeting of 2018 Chair Moira welcomed Jessica Turner from Northumberland Coast Area of Outstanding Natural Beauty Partnership to give a talk on The Bamburgh Ossuary and the Anglo Saxon Context. Jessica began by explaining that an ossuary is a box, building or site used as the final resting place for human skeletal remains used particularly where burial space is limited. She then described that the first edition ordnance survey map of Bamburgh had included reference to a Danish burial site in the dunes south of the castle, which was generally thought to relate to Viking invasions of the area. However archaeological excavations of the site between 1998 and 2007 revealed this not to be the case. The graves found contained skeletons aligned east to west suggesting a Christian burial. In addition no Viking artefacts were found during the dig. Jessica then outlined how Bamburgh got its name: how its importance grew when Oswald brought the two Northumbrian Kingdoms of Bernicia and Deira together under a single ruler and how Aiden arrived from Iona to spread Christianity. Over 110 individual skeletons were excavated in the 1998-2007 dig and years of research by Bamburgh Research Project and Durham University generated a wealth of information about the people living in Bamburgh 1400 years ago. Analysis showed the cemetery was in use between 650– 700 AD, the individuals were well nourished and came from a wide area including Italy, Ireland, Scandinavia and Southern Spain. They were some of the earliest Christian converts and indicated how important Bamburgh must have been for them to have made the journey. A final resting place was needed for the skeletons and the long unused second crypt of St Aidens Church in the village was considered to be appropriate particularly as some of them may have actually heard St Aiden preach. Each skeleton was encased in an individual zinc charnel box and at a committal ceremony on the 24th June 2016, they were finally laid to rest in the small crypt, secured behind a grill designed and made by local blacksmith and artist Stephen Lunn. Funding is now in place to enable the hugely important story of Bamburgh to be told through interactive technology and projection and make the important data recovered from the Anglo Saxon cemetery available to the public. Jessica’s extremely informative and enthusiastically presented talk was thoroughly enjoyed by all. At our final meeting of the year we welcomed Dr Paul Morrison Head Warden at RSPB reserve on Coquet Island to give a talk on The Secrets of Coquet Island. The earliest documentary reference is in AD684 when St Cuthbert met Elfled the Abbess of Whitby met on the Island, although it is presumed there was already a monastic establishment on the site when the meeting took place. Further monastic buildings were constructed in the 15th Century and ruins of these were adapted and the foundations used by Trinity House, when the lighthouse and keepers cottages were built in 1841. From the outside the remains of the monastic buildings are clearly visible as they are unpainted whereas the newer additions are painted white. Paul showed a number of photographs showing how the Trinity House buildings had been incorporated, including the crypt with its 1 metre thick walls and a number of sealed up arched doorways. One of the first lighthouse keepers was Grace Darling’s brother William. Keepers and their families living on the Island were mostly self-sufficient growing their own vegetables and using kelp as a natural fertiliser. Families had to leave in 1926 when the lighthouse was re designated. Three Keepers were employed on the Island, working 1 month on and 1 month off, with always someone on duty. In 1990 however, the lighthouse was automated and the last keeper left the Island on the 19th December that year. It was then converted to solar power in 2007. The Island is owned by the Duke of Northumberland, being bought by his family in 1753. The Dukes family were the instigators of a Napoleonic gun battery, stones from which are still visible. The castellated appearance of the lighthouse mimics that of a castle: and the Dukes home in London, Syon House, is built from Coquet Island sandstone. Paul ended his talk describing the RSPB work he and his team of volunteers do on the Island, including monitoring, research, the provision of a suitable breeding habitat and ensuring the safety of visiting birds. Pauls talk on both the history of the Island and on the current work carried out by him and the team of volunteers was both informative and entertaining and was thoroughly enjoyed by all. Vice Chair Barry welcomed Rt. Hon. Baroness Joyce Quin to the November meeting to give a talk on “Walking Newcastle”. Baroness Quin is Vice President of Newcastle Association of City Guides of which she has been a member for many years. This Association was started in the early 1960s by Counsellor FH Bell and now has approx. 50 active volunteer guides with a further 20 either retired and/or on the reserve list. Volunteers undergo an intensive 2 year training period which includes learning, shadowing trained guides and undertaking dummy tours before they are allowed to take a formal tour. Originally there were 4 tours available to the public but over the years the programme which runs from Easter to October, has been extended to include Gateshead and now also includes other areas within Tyne & Wear. Baroness Quin advised that when walking around any City you should take note of street names as these provide an insight into the past history of the area, New Bridge Street for instance originally lead to a new bridge over the Ouseburn. City Guides are always keen to stress that Newcastle has been a major City during Roman and Norman times, the Middle Ages, when it was the fourth largest town in England: and the industrial revolution. Baroness Quin then took us on a virtual walking tour of Newcastle starting at Greys Monument then down Grey Street, planned in the 19th Century; and said by Prime Minister William Gladstone to be “our best modern street”. Then to Mosley Street, the first street to be lit by gas in 1818 and also the first to be lit by electricity in 1880, Dean Street then The Side and the Quayside to the Castle Keep and Black Gate. Along the way Baroness Quinn told interesting stories of the people and buildings, including Earl Grey, Richard Grainger, John Dobson, Thomas Oliver, The Castle, Black Gate and the seven bridges crossing the Tyne. Baroness Quin ended her talk with a number of anecdotes about Newcastle some true, some not true and some she originally thought were true but now has doubts as she has heard the same tale told on tours she has been on in other Cities. Baroness Quin’s talk gave an insight into the City Guides approach to their role, followed by a very entertaining and informative virtual tour: all of which was thoroughly enjoyed and appreciated. Anthony took us through Abraham Lincoln’s early life, born in a one room log cabin at Sinking Spring Farm near Hodgenville Kentucky on February 12th 1809. Young Lincoln was an avid reader and mostly self-educated having only 1 year of formal schooling. His first brush with politics came in 1832 when he failed to win a seat in the Illinois General Assembly, however he stood again two years later and at the age of 24 became the second youngest to be elected. He then began studying law using borrowed books and received his licence to practice in 1836. He was admitted to the Illinois Bar a year later and became a successful lawyer. He had strong views on slavery but was not an Abolitionist as he knew it would make him unelectable. Lincoln entered the House of Representatives in 1846 and in November 1860 was elected 16th President of the United States, receiving very little support from the slaveholding States in the South. Prior to his inaugural address in March 1861 seven States had seceded from the Union and Lincoln had received 130 assassination threats from 15 States. Anthony then described the Civil War in which there were 625,000 deaths, more than all the other wars America has been involved in to date, including Iraq. In January 1863 as the war progressed, his moves to ending slavery included the Emancipation Proclamation. Later that year the battle at Gettysburg resulted in more than 51,000 casualties. It was decided to create a national soldiers cemetery on the site and Edward Everett was requested to deliver the main address with Lincoln asked to “give a few appropriate remarks”. His 280 words spoken at Gettysburg turned out to be one of the great speeches. Lincoln was re-elected as President in November 1864, with the end of the war following five months later. Abraham Lincoln was assassinated at the Ford Theatre by John Wilkes Booth a Southern sympathiser, on April 15th 1865. Anthony’s much enjoyed talk, supplemented by slides, video and audio provided a clear description of how a man from humble origins who suffered many tragedies in his life, has come to be regarded as one of the great US Presidents. Many of the passages from his inspirational speeches are still relevant and often quoted today. This month was the Annual General Meeting of the Society, and Chair Moira Kilkenny gave her annual report which included a review of the relocation to St Lawrence Church, the 2016-17 programme and a reminder as to why Magna Carta, a facsimile copy of which is now located in the church porch, is significant to the church, to us as a village and to the governance of our country. Treasurer Anne Cashmore reported that the Society finances remain in good order, with 55 members and meeting attendances averaging 36. The following officers were re-elected – Chair Moira Kilkenny, Treasurer Anne Cashmore: the following committee members were also re-elected, Richard Jackson, Barry Jones, Kathryn McLachlan and Les Purvis. Jill Wharton was elected to join the committee. The programme for 2017-18 was distributed, details above. Following the AGM Sandra Kerr gave an extremely interesting insight into the creation of the children’s 1970's television programme Bagpuss, voted in 2000 the best loved children’s programme of all time. Only 13 episodes were made and it was not particularly liked by the BBC as they thought it looked homemade and rough around the edges (which is was, but this actually gave it its charm). Sandra described how Oliver Postgate the creator gave her and partner John Faulkner a short brief which they then used to write the songs required to fit a particular story. Sandra sang a number of the songs while playing Autoharp, English Concertina, Guitar and spoons as accompaniment. Sandra gave a delightful performance which was thoroughly enjoyed by all. Forty nine members/guests attended the April meeting where Chair Moira welcomed the return of one of the Societies favourite speakers, Professor John Derry to give a talk Field Marshall Montgomery “The Mystery of Monty”. Professor Derry took us through the life of Bernard Montgomery to try to explain why he was such a difficult man becoming more so as he grew older. He had a much disciplined upbringing particularly by his mother Maud and was a naughty and trying child. He later attended the Royal Military College Sandhurst from which he was almost expelled for being the ringleader in a serious case of bullying. He was only allowed to continue on the course after pleading from mother. Professor Derry described how he dedicated his life to the army and was a fierce critic of colleagues and superiors, an arrogance that would continue throughout his life. Montgomery married Betty Carver in 1927 at the age of 40 and was a changed man. However Betty was bitten by an insect in 1937 and died of blood poisoning. This was a great emotional blow to Montgomery and he reverted to type, once again dedicating his life to the army. Professor Derry explained how Montgomery’s experiences in WW1 were used to great effect as Commander of the 8th Army in 1942, the important victory at El Alamein, and how he was fiercely critical of other Allied Commanders, particularly the Americans, throughout the rest of the War and thereafter. When asked which three generals he admired most Montgomery replied “the other two would be Alexander the Great and Napoleon”. In his last years he was a lonely and unhappy man, keeping his distance from family and any remaining colleagues. Marshall Viscount Montgomery of Alamein KG, GCB, DSO died on the 24th March 1976. At a very well attended March meeting Chair Moira welcomed back our speaker for the evening Freda Thompson to give a talk on Grace Horsley Darling “The Darling of the North”. Freda took us through the lives of Robert and William Darling, Graces grandfather and father, how Grace was born on the 24th November 1815 at her grandparent’s small cottage in Bamburgh, her life on Brownsman Island and the move to Longstone Lighthouse in 1826. On the night of 6th/7th September 1838, only Grace and her parents were in the lighthouse. Unable to sleep because of a terrible storm Grace saw the paddle steamer SS Forfarshire had struck Harcar Rock. She woke her father and they took out the twenty foot coble to rescue any survivors. Despite the wind, the sea swell and the spray and with great physical effort they reached the rock on which the 9 survivors were located. Knowing they couldn’t take them all, William helped a Mrs Dawson, together with an injured man and two crew members into the coble. They arrived safely back at Longstone and William returned with the crewmen to collect the remaining survivors. The story of the rescue soon made the local newspapers and spread very quickly throughout the country. It captured the imagination of the public who declared Grace a heroine. Grace received presents and gifts from admirers and Queen Victoria sent her £50. Letters were received requesting her signature, pieces of her dress, or locks of her hair. She received a fine watch from the Duke of Northumberland who became Grace’s guardian and managed her affairs through 3 appointed trustees. Fame placed a great strain on Grace and she became ill and weak. After short stays at Wooler and Alnwick she was moved to her sister’s home in Bamburgh where she died of tuberculosis on the 20th October 1842. Freda showed pictures of the prominent stone memorial to Grace Darling and the family grave in the churchyard of St Aidans Bamburgh. Freda followed her talk with brief outlines of Lady Armstrong, Mo Molam, Josephine Butler, Ellen Wilkinson and Sarah Blackett. Forty-three members/guests attended the February meeting where Chair Moira welcomed our speaker Bill Bland to give a talk on The History of Ordnance Survey. Bill began by describing his early childhood memories in Castleton Yorkshire where his fascination of Ordnance Survey maps began. The origins of the Ordnance Survey can be traced back to the aftermath of the Jacobite rising. The army did not have a good map of the Scottish Highlands to enable them to locate the Jacobite dissenters, therefore in 1747 a military survey of the Highlands was carried out and a map with a scale of 1 inch to 1000 yards produced. Bill illustrated through drawings and photographs the principles of triangulation, together with the basic equipment used in early land surveys, also reminding us of our weights and measure tables relating to yards, chains, furlongs and miles!. The Principal Triangulation of Great Britain was carried out between 1783 and 1853 and led to the creation of the Ordnance Survey itself. In 1791 the first great theodolite was developed by Jesse Ramsden and purchased at a cost of £373. 14 shillings. This enabled greater accuracy in surveying and work began mapping southern England using a 5 mile baseline on Houslow Heath (now the site of Heathrow Airport. By 1801 the first 1 inch to the mile map of Kent was published and in 1810 a map of the Isle of Wight was published with the first recorded use of the Ordnance Survey name in its title. The last area to be surveyed and map published was Hexham and Allendale in 1872. Maps continue to be updated and published today, however the equipment used has changed completely. Now Surveyors use electronic distance measuring equipment (EDM), auto levels, total stations and global positioning system (GPS). This equipment enables survey work to be carried out quicker and with less chance of error. Bill demonstrated how Ordnance Survey maps are now available for download onto computers and tablets, making planning a walk easier and importantly letting you know at any time your exact location, providing of course your battery doesn’t run out! Bills talk on Ordnance Survey from its origins to today was delivered in an informative and humorous manner demonstrating his passion for the subject. The first meeting of 2017 was held in St Lawrence Church, our new regular venue. Chair Moira welcomed our speaker Andrew Griffin to give a talk on The Brontes. Andrew took us through the story starting with Patrick Brunty one of 10 children born in Ireland 1777. He changed his name to the more impressive sounding Bronte when he left his humble origins to attend St Johns College Cambridge. Patrick went through several curacies before arriving at Howarth in April 1820, with wife Maria and their 6 children Maria, Elizabeth, Charlotte, Branwell, Emily and Jane, all born between April 1814 and January 1820. Andrew described the children’s upbringing and harsh life experiences which had a profound effect on the writing of Charlotte, Emily and Anne. After the death of Maria aged 11 and Elizabeth aged 10, the surviving children created an imaginary world and produced their own tiny books using Branwell’s toy soldiers as inspiration. In 1846 Charlotte, Emily and Anne financed the publication of their poems under the pseudonyms Currer, Ellis and Acton Bell in order to disguise that they were written by women. Charlotte’s first novel The Professor was rejected by several publishing houses. The response she received however encouraged her to submit her next work Jane Eyre which was accepted. Anne’s Agnes Grey and Emily’s Withering Heights were published 2 months later. Only after Anne’s second novel The Tennent of Wildfell Hall was published did the authors reveal their true identities. Barnwell died in 1848 aged 31, Emily died 3 months later aged 30. Anne died a year later in Scarborough aged 29. Charlotte continued writing and her last novel Villette was published in 1853. She married her father’s curate Arthur Bell Nicholls in 1854, his first proposal having been turned down. Her happiness didn’t last however as she died less than a year later. Patrick Bronte lived on at Howarth Parsonage until his death in 1861 at the age of 84. Andrews talk provided a fascinating insight into the bleakness of life at the time and its effect on the Bronte family. Michael began by telling the background story of why this battle in August 1388, which some historians believe to be relatively insignificant and merely one of many border skirmishes, was in fact one of the hardest battles ever fought. In the time before artillery and big guns war was considered fun, an adventure and if you survived, an opportunity to get rich. The English and Scots Armies had a fearful reputation throughout Europe. Using the chronicles of Jean Froissart a 14th Century Belgian writer, photographs of the area and drawings of the battlefield Michael brought to life the lead up to the battle, the battle itself and the characters involved, the Earl of Douglas and Henry Hotspur Percy. 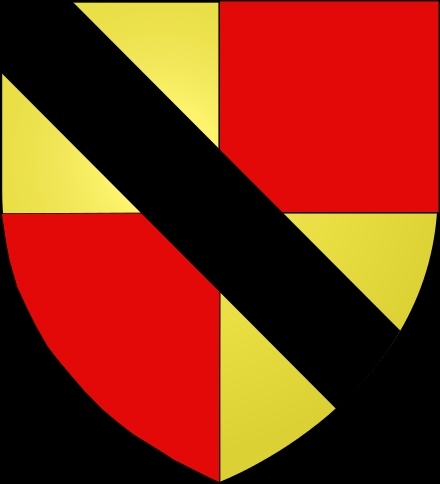 The battle was fought in brutal hand to hand combat in pockets of 30 to 50 men, during which the Earl of Douglas was killed and Henry Percy captured for ransom. The Scots are generally thought to have won the battle due to Henry Hotspur being too eager to engage the Scots before his full army arrived and not using his archers. Michael considered however that all in all this “best battle ever” should be classed as a draw much to the astonishment of at least one Scot in the audience! This month our speaker was Anthony Atkinson who gave a talk on Mary Eleanor Bowes – “The Heiress of the North”. Anthony is a volunteer guide at Gibside National Trust property near Rowlands Gill, which was Mary Eleanor Bowes childhood home. He began by giving an insight into the property, including the Chapel, Orangery, Freedom Column, Crypt and the Hall which the Bowes family ruined in the 1950s by removing the floor and roof to avoid paying rates. Anthony then went on to describe in detail the stranger than fiction life of Mary Eleanor Bowes. Born in February 1749, she became the wealthiest heiress in Britain if not Europe at the age of 11 when her father died leaving her his vast fortune. She had however been over indulged by her father and today would have been described as “spoilt rotten”. Her wealth enabled her to encourage the attentions of many suitors. She married John Lyon in 1762 and in accordance with her fathers will; the family name was changed to Bowes Lyon. There were 5 children from the marriage, all born between 1768 and 1773. Mary though led a licentious life and had numerous affairs. When her husband died in 1776 Mary regained her independence and her wealth. In 1777 she had the misfortune to meet Andrew Stoney who today would be described as a psychopath. Stoney duped her into marriage by staging a fake dual in defence of her honour with the editor of the Morning Post. When Stoney found out that she had made a prenuptial agreement to safeguard her wealth, he made her life a living hell through domestic, physical and mental abuse. She escaped from Stoney in 1785 and filed for divorce, a major event for a woman in those times. She was recaptured but eventually rescued and Stoney arrested. Following a very public trial which was the talk of London, Stoney was imprisoned. Mary spent the last 11 years of her life quietly with her pets and devoted housekeeper. She died in May 1800 and buried in Poets Corner Westminster Abbey. Anthony gave a very enjoyable and fascinating talk on the great, great, great, great grandmother of our Queen. Our first meeting of the 2016-17 programme was well attended with 38 people coming along to hear The Kings Shilling – a History of Recruitment into the Red Coat Army presented in talk and music by Peter, Alan and Pauline Giles collectively known as Old English. Peter set the tone for the evening by playing 2 marches on the Northumbrian Pipes. We were then told Recruitment Parties used many assets to encourage men to commit to the army, including music, alcohol and false promises. They focused their attention on fairs, race meetings and public houses, places where the type of men they were looking for would attend. The Recruitment Sergeant was the key person, usually a larger than life character full of tall stories and swagger, with the ability to sell the benefits of army life. There was also the promise of a cash bounty on joining. Once joined up recruits found that army life wasn’t all as described, it was very hard life, promotion was bought rather than on merit and the regiment was run more like a private business. A popular money making scheme was for men to desert, and then join up again to claim a new bounty. Another force at the time was the Militia, which could be called upon to assist the regular army at times of emergency. Men were selected to serve from a list drawn up by the local Constable. The Parish List for Warkworth was shown. Persons such as Teachers and Priests were exempt but there were many ways of dodging being called up such as paying a sum of money for a substitute to take your place. Recruitment therefore fell on the very poorest people, who could least afford to be away from their job and family. The Volunteer Corps was another military, body not unlike “Dads Army” of WW2, which was formed at the time when a French invasion was feared. Recruits were mostly middle class and bought their own uniform. An important aspect of the Volunteer Corps was that its recruits were exempt from service in the Militia. The talk was interspersed with appropriate music and songs, many with choruses which were sung heartily. Old English provided a very informative and entertaining evening.